The Dominion Observatory was founded in 1905 in Ottawa, Ontario. The impetus for Canada’s first government observatory came from the Geological Survey of Canada, which had a pressing need for a service that could supply precise temporal and spatial coordinates for its mapping and topographic surveys. In those days, only observatories were capable of providing such a service. William Frederick King, Chief Astronomer for the Department of the Interior, played a key role in setting up the new observatory. He became its first Director and equipped it with a 35-centimetre telescope, the largest ever installed in Canada. The first mandate of the observatory was to determine and distribute the exact time to the rest of the country. King confided this task to Robert Meldrum Stewart, the astronomer who went on to become Director from 1923 to 1946. In those days, it was necessary to monitor the path of reference stars on a regular basis in order to precisely determine the time. More specifically, it was necessary to know the exact moment when certain stars passed their highest point in the sky (the meridian); these were known as “transit times”. 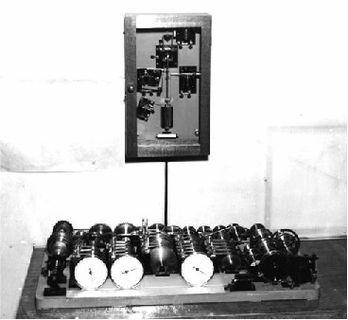 Due to the conscientious observation of transit times for many stars, and to the acquisition of a high precision clock in 1929, Stewart gradually established a network of clocks throughout Ottawa’s federal government buildings. A signal from the observatory’s clock was electronically transmitted to the buildings; in this way, about 700 clocks in Ottawa were able to display precise time by 1930. After 1941, this time service was extended to the entire country and the Dominion Observatory became the official supplier of time for Canada. In order to fulfill its second mandate – to provide spatial coordinates for the country – the Dominion Observatory set out to determine the precise position of 3,162 stars in the sky. This was accomplished by recording 28,000 astronomical observations from 1911 to 1923. A new project was launched in 1923, and the positions of another 1,368 stars were measured until 1950. These data – combined with the knowledge of exact time – allowed longitude, latitude and elevation to be calculated with precision for many points across Canada. As part of its responsibility to the Geological Survey of Canada, the Dominion Observatory was also entrusted with a third mandate: to collect seismic, gravimetric and magnetic geophysical data. Among the noteworthy events that marked the history of the Dominion Observatory were the apparent discovery of “Planet X” in 1928, the determination of the solar rotation as a function of latitude in the 1930’s, and the discovery of numerous meteor impact sites in Canada. 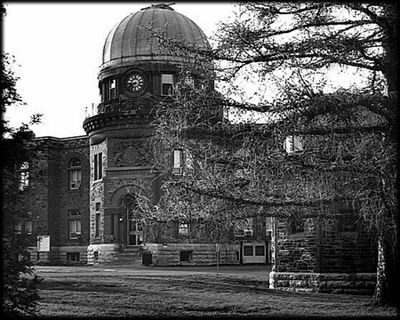 Scientific institutions in Canada were reorganized in 1970 and the responsibilities of the Dominion Observatory were transferred to the National Research Council of Canada (NRC). The observatory ceased its activities and the building became the headquarters for the NRC. In 1974, the telescope was moved to the Helen Sawyer Hogg Observatory of the Canadian Museum of Science and Technology where it remains to this day.